The Philippines has become their adopted homeland. It’s where they’re enjoying thriving careers in dance and where they’ve also found their life partners. 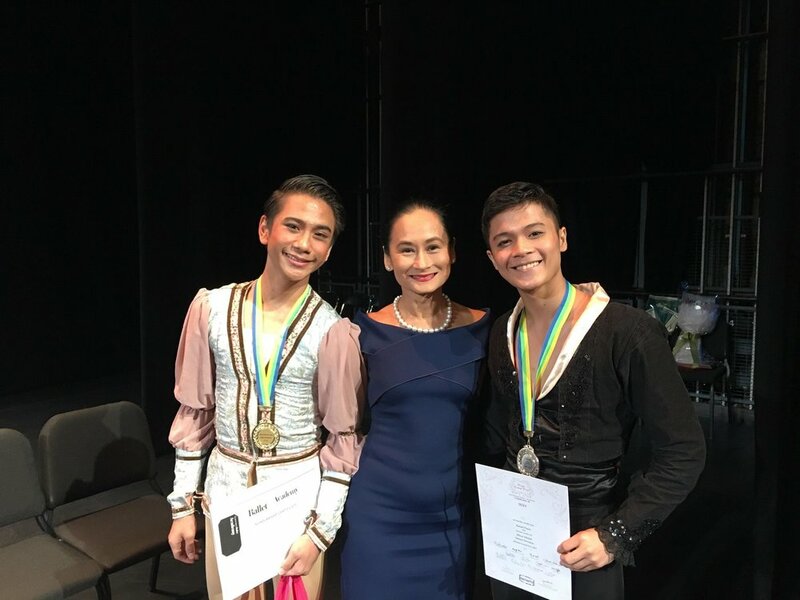 But for Ballet Manila soloists Tiffany “Tiff” Chiang-Janolo and Abigail “Abi” Oliveiro, home will always be Australia where the former was born and raised and where the latter moved with her family when she was twelve. Abigail Oliveiro takes boyfriend Mark Sumaylo on a tour of Melbourne CBD’s mural-filled laneways. Coincidentally, both come from Melbourne – the city that, last August, was declared by The Economist as the world’s most liveable city for a record seventh year in a row. That’s not really a big surprise for the two women who have basked in the marvels that their city has to offer for most of their lives. What makes Melbourne great? Abi instantly singles out its people and culture. “The people are lovely and you can really soak up the culture and get lost in your own world. I love how rich Melbourne is in the arts! There's definitely a creative vibe in the air,” she attests. Admittedly, it is a constant challenge for Abi to not think of her parents and brothers living thousands of miles away. She jokes that her boyfriend, fellow Ballet Manila soloist Mark Sumaylo, is not a big help as he misses Melbourne, too. And to think that he has only been there twice! But he just fell in love with the place, particularly exploring the city’s fabled laneways brimming with art, cafés and specialty shops. What Abi loves most about Melbourne is, of course, her family. In this photo, she and Mark enjoy a happy reunion with her parents Cedric and Angela, and brothers Shane and Valentine. 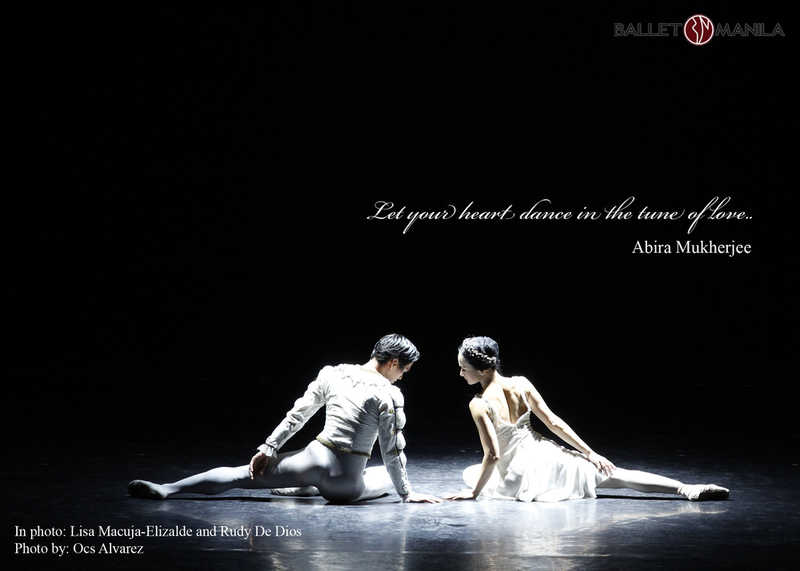 “Ballet makes everything better. Honestly. The only time I don’t feel homesick is when I’m in the studio,” says Abi, describing her antidote for the blues. 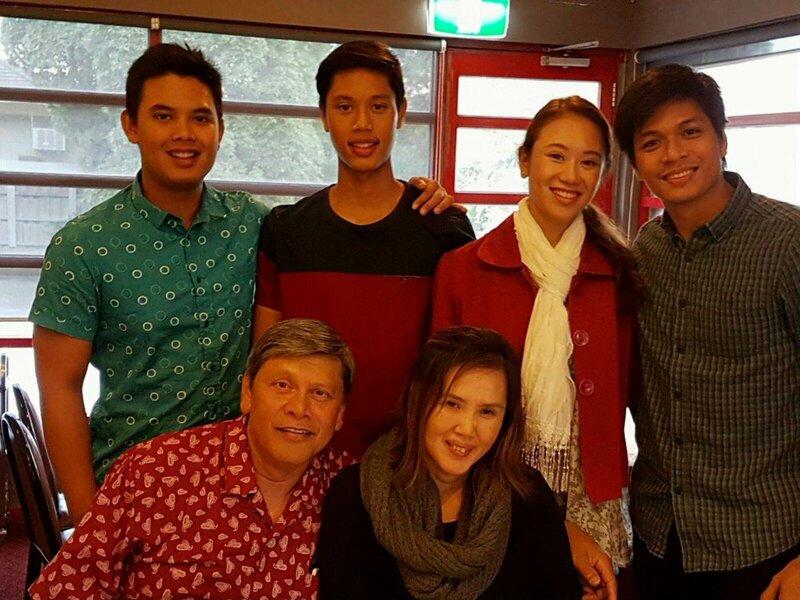 Fortunately, her family has managed to visit her repeatedly to watch her performances with Ballet Manila. Definitely a historic suburb to visit. It has heaps of bits and pieces that are uniquely Melbourne all in one suburb. First, there’s Luna Park. It’s an amusement park but not a major amusement park like Dreamworld in Queensland (or Star City in Manila). It’s more of a historic amusement park. The atmosphere is pretty great in the summer, especially the Great Scenic Railway which is a scenic rollercoaster surrounding the entire park and offers a beautiful view of the central business district (CBD) and the coast. Fitzroy St. and Acland St. are your go-to places for shopping (or window-shopping! ), cafés (that are everywhere in Melbourne; there are just too many to name, but one of my favorites in St. Kilda is Sister of Soul) and bakeries. You can catch a beautiful sunset at St. Kilda Pier and if you’re lucky, get to see some penguins too! 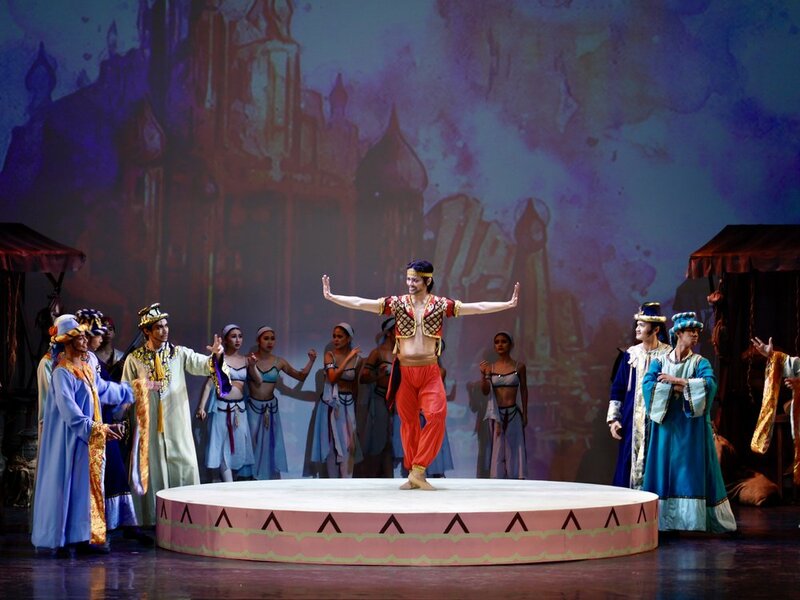 There’s also the Palais Theatre where you can catch live performances – ballet, opera, concerts and more! Abi (fourth from left) is in one of her favorite “op-shop” finds, a blouse she wore to the farewell dinner with her ballet family in Melbourne before she moved to Manila. So an “op shop” is short for “opportunity shop” which is what we call a thrift store. I love going op-shopping! Especially when I stumble across vintage goodies! Personally, I feel the fashion in Melbourne isn’t usually guided by trends. Your style is almost like an art or expression of your individuality. So there are heaps of little treasures to be found at op shops. Plus, it’s always a relaxing experience; definitely vintage vibes! Op shops are run by volunteers who are always happy to help out. Some suburbs I like to visit are Prahran, St. Kilda and Abbotsford. But you can find a Salvos (Salvation Army) or Vinnies (St. Vincent de Paul Society) and more, everywhere. So. Relaxing. So there’s your gourmet food, wine-tasting, picking of fresh produce at the Mornington Peninsula which is around 90 minutes out of Melbourne. 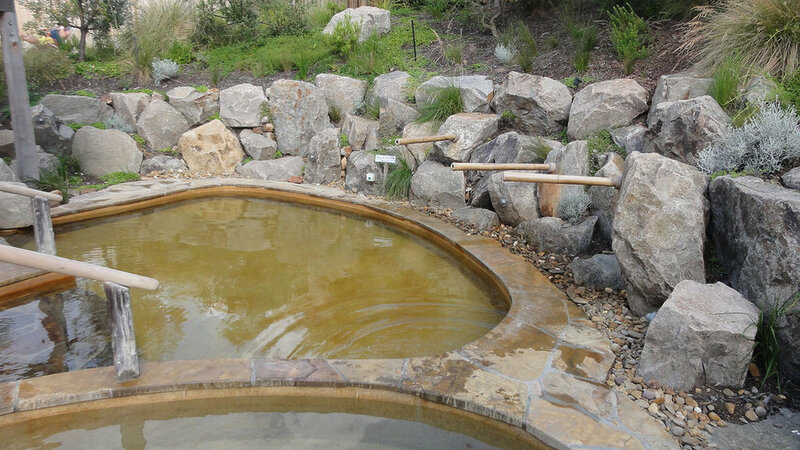 But my favorite place at the Mornington Peninsula is the Peninsula Hot Springs! Social and family-friendly bathing experience, basically. Natural hot mineral waters flow from the ground into pools and private bathing areas. There are around 20 globally-inspired bathing experiences to choose from (thermal mineral pools, cold plunge pools, Turkish steam bath and more). They also have a spa facility but the baths are my favorite. I actually like to go around autumn or beginning/end of winter as its outdoors. So the air is cool but the baths/saunas are deliciously hot. Just quickly put on your robe when transferring between baths and saunas. Ballet Manila soloist Mark Sumaylo gets to hang around in colorful Hosier Lane. This is a bit of a physical one. It’s a winding bushwalk 1000 steps up, following a creek. It’s not exactly 1000 steps but it’s roughly how many steps it takes to make it all the way up. It was established in the early 1900s and the steps have been replaced by a combination of wooden steps and concrete steps since then. Veterans from the Kokoda Campaign (World War II) adopted this place as their memorial and you can find plaques along the trail. It takes around 45 minutes to an hour to go up and back down, depending on how well you keep your pace. There are different routes going up and down. The scenery is stunning, it’s fresh and a great way to connect with nature. Melbourne’s CBD is full of pebbled-path laneways and arcades (not the gaming kind!) where you can discover heaps of hidden treasures – cafés, fashion boutiques, specialty shops, art work, restaurants and bars. It’s an experience on its own walking through the CBD. Curious to see more of Melbourne? 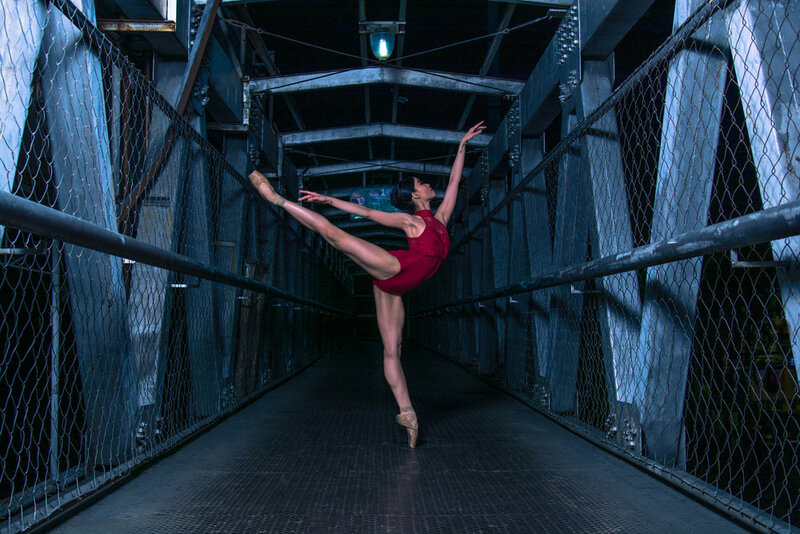 Click here and discover soloist Tiffany Chiang-Janolo's must-sees!